Bonus if you know football but not a must. Worldwide usage, 12 months, All Moving Media NO PRINT / Exclusivity for all talent that will be manipulating the drink bottle. Airing date is gonna be 6 months after the last shooting day. In these 6 months talent cannot Cast/work on any brands that are classed as competition. Unlimited versions, edits, lifts, etc The brand can use the material (footage) to re-edit spots of the same campaign, of the same product or re-do spots for products of the brand. 11 hours (set-wrap) inc of 1hr lunch / Coach ticket/ 40 USD per diem per day/ Fee per OT -£55 Package fee: £900 including 2 travel days, 1 wardrobe session, 1 rehearsal day and 2 shoot days Amount: £4000 - Usage fees will only be paid if Talent’s image, voice or performance is used, or if otherwise expressly stated here. If Talent is “out-graded” removed or otherwise excluded from the final selection of shots, or edits to be used, there will be no usage fees due performer. Plus 20% Agency fee. 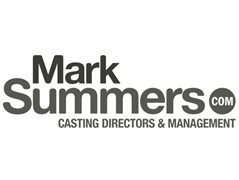 THIS COMMERCIAL IS TO COVER MANY LOCATIONS IN THE WORLD WE ARE FILMING THE SAME SPOT BUT FOR MULTIPLE COUNTRIES HENCE THE ETHNICITY REQUIREMENTS - SOME ROLES WILL BE CAST IN SOUTH AMERICA & SOME IN THE UK.